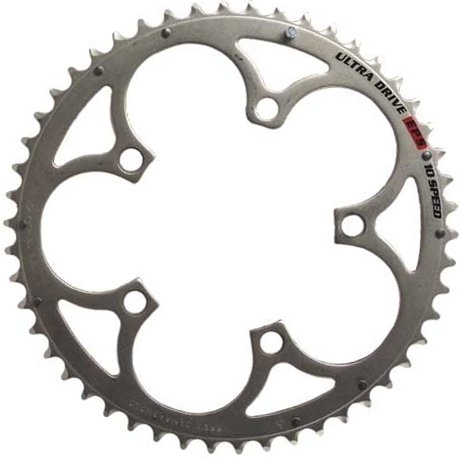 Chainrings are sold by number of bolts and PCD or BCD, which is the same thing and stands for Pitch Circle Diameter or Bolt Circle Diameter. Easier than diameter to measure is the centre-to-centre distance between two adjacent bolts. That can then be multiplied by the appropriate geometrical factor to get the PCD: in the case of 4 bolts x1.414 or 5 bolts x1.701. I think the definition could be more generalised. The PCD - distance co-relation is for 5 equispaced circles.